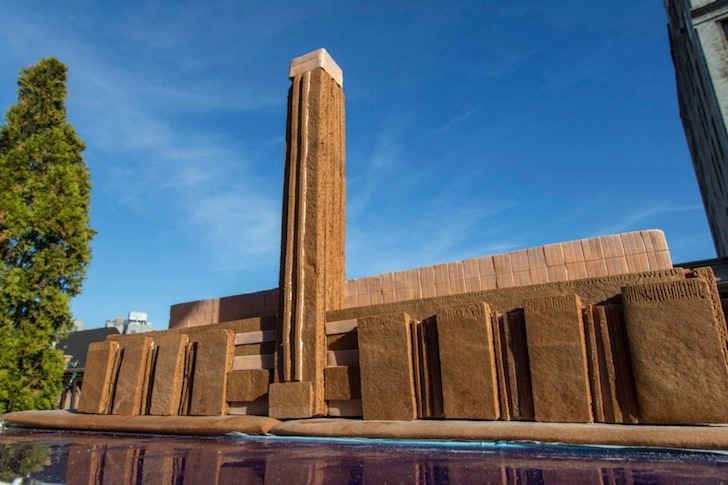 The world’s most famous art galleries and museums just got a sweet upgrade thanks to these gingerbread and candy replicas created by food artists Henry Hargreaves and Caitlin Levin. Commissioned by Dylan’s Candy Bar, these stunning concoctions range from the Tate Modern to the Guggenheim Museum. The sugar-laden show will make its debut this Friday as part of the annual Art Basel. Inspired by an interest in architecture, the artistic duo took gingerbread houses to a whole new level by reinventing famous architectural images using candy. The malleable and sticky medium posed structural challenges from the graceful reproduction of the Louvre’s glass pyramid to fortifying hard candy to withstand the weight of the MAS Antwerp. In addition to gingerbread, the artists used a combination of candy types such as cotton candy, licorice, and bubble gum to seal and support the gallery walls. After completion, Hargreaves photographed each replica in black and white to call attention to the architectural form rather than the sweet and often colorful medium. The show will be exhibited at Dylan’s Candy Bar in Miami Beach, Florida as part of Art Basel Weekend, a prestigious international art fair. 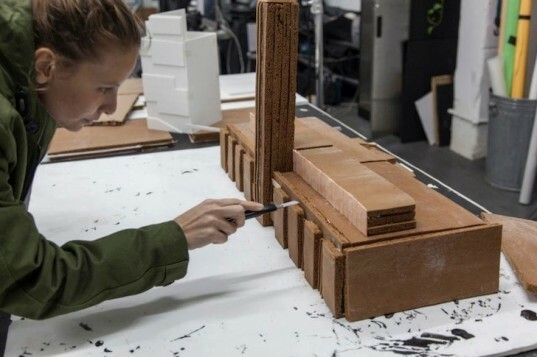 Inspired by an interest in architecture, the artistic duo took gingerbread houses to a new level by reinventing famous architectural images using candy. The malleable and sticky medium posed structural challenges from the graceful reproduction of the Louvre's glass pyramid to fortifying hard candy to withstand the weight of the MAS Antwerp. In addition to gingerbread, the artists used a combination of candy types such as cotton candy, licorice, and bubble gum to seal and support the gallery walls. The Louvre was built using gingerbread, hard candy and licorice. Solomon R. Guggenheim Museum by Frank Lloyd Wright made with icing, gingerbread, cotton candy, candy wrappers, licorice, and sugar. Rows of chocolate were cut to create the facade of the Karuizawa Museum. Zaha Hadid's Maxxi Museum was created using a combination of gingerbread, hard candy and lollipop sticks. After completion, Hargreaves photographed each replica in black and white to call attention to the architectural form rather than the sweet and often colorful medium. The show will be exhibited at Dylan's Candy Bar in Miami Beach, Florida as part of Art Basel Weekend, a prestigious international art fair.